Amazon Prime Membership Is Discounted Today Only! Have you been thinking about signing up for Amazon Prime but just not sure if you wanted to spend the money on the membership? Today only, an Amazon Prime membership is discounted, so today is the day to try it out! For today only, you can try out Amazon Prime for $67 for the year - normally $99! WHAT AN AMAZING DEAL! This offer is valid only through 11:59 p.m. on Friday, September 25 so be sure to hurry and sign up now! 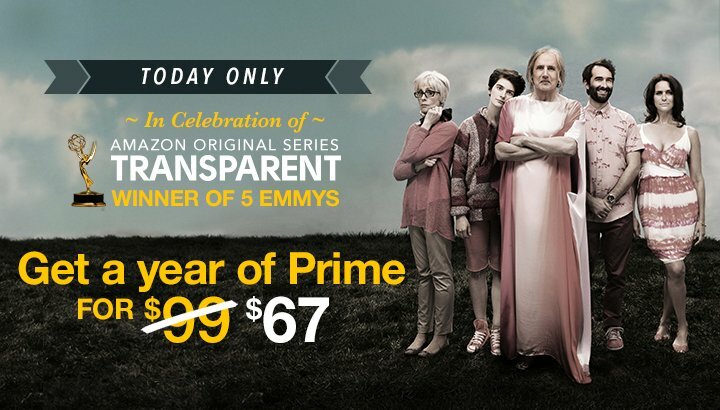 CLICK HERE TO GET A YEAR OF AMAZON PRIME FOR $67 TODAY ONLY!